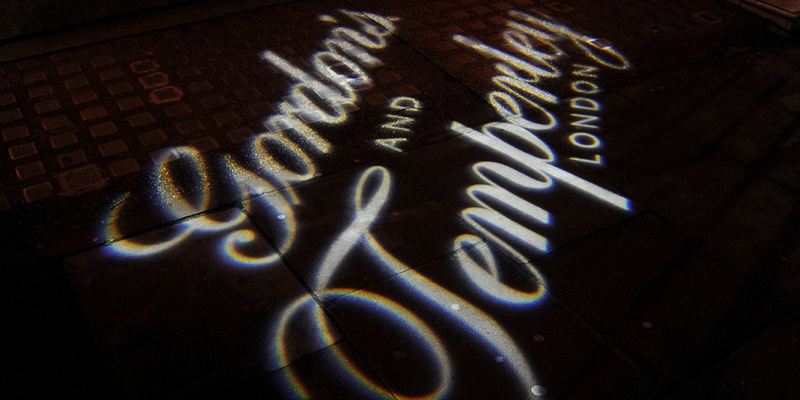 Back in November two great British brands teamed up as Gordon’s Gin released 10 limited edition Temperley designed bottles. And for the occasion we were called on to create very special drinks to celebrate at the Mayfair store. So our mission was simple. 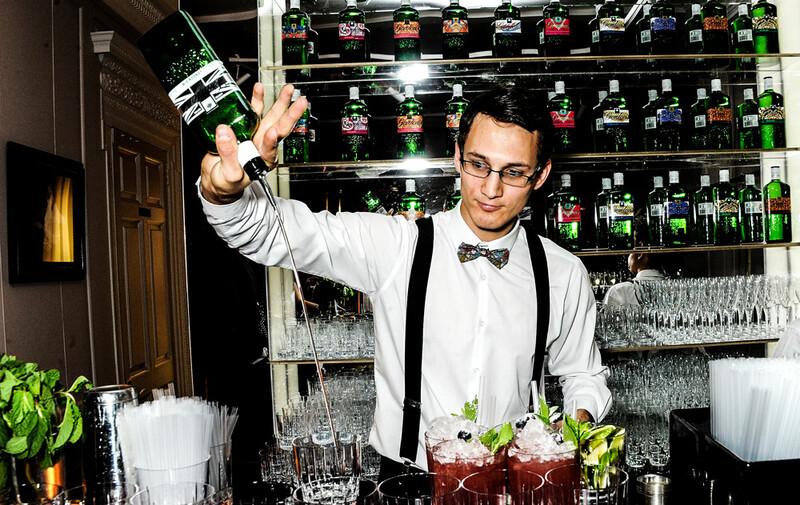 To create extraordinary food and drink to treat a crowd of drinks industry grandees and press (who know a thing or two about parties) who would be rubbing shoulders with London’s ultra fashionistas (who probably do this sort of thing for breakfast). All in the stunning setting designed and created by The Persuaders. In short, a party of very cultured party people and elegant bon-viveurs. But this is no bad thing. Most of the hard work is done before the first canapé is dressed and the first martini poured, and few things are as frustrating as seeing your efforts consumed by a crowd of heathens intent only on gorging themselves. We created a series of canapés influenced by Alice Temperley’s designs and the flavour and brand profile of Gordon’s gin. And put together our crack team of bartenders with a tight brief: to rapidly produce perfect cocktails while effortlessly charming our guests. To compliment the first course of canapés, we created a Gordon’s Gin and Burgundy Cobbler. Gordon’s London Dry Gin was shaken with fresh citrus and a touch of aged White Burgundy. A splash of nettle cordial was used sweetened the cocktail. This paired perfectly with our peppery watercress and nettle mousse canapé, in particular. A selection of classic British canapés were then served, including Union Jack cucumber sandwiches, and quail egg and smoked finny haddock scotch eggs, to name a couple of examples. To offer the perfect cocktail pairing for the British menu we created the Smoking Cold Iced Tea. 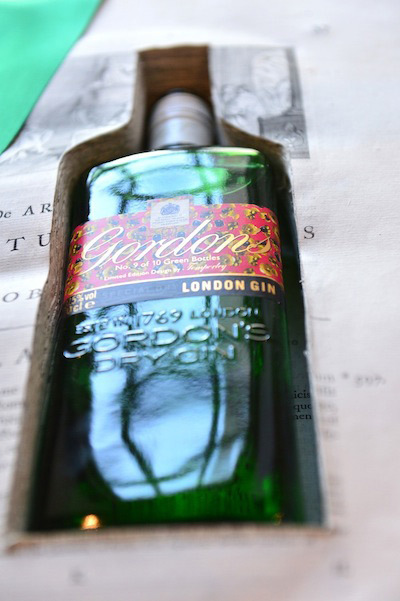 Gordon’s London Dry Gin was blended with Earl Grey Tea and black forest fruits. This blend was served smoking cold with dry ice, in vintage teacups. The launch received extensive press featuring our canapés, drinks and starring one or two of our bartenders along the way. The Evening Standard, Mail on Sunday, The Independent, Tatler, Elle and Marie Claire among others, all ran stories on the night.